TOKYO — Japan announced Wednesday it is leaving the International Whaling Commission to resume hunting the animals for commercial use but said it will no longer go to the Antarctic for its much-criticized annual killings of hundreds of whales. Chief Cabinet Secretary Yoshihide Suga said the hunts will be limited to Japan’s territorial waters and its 200-mile exclusive economic zone along the country’s coasts, and that Japan will stop its annual whaling expeditions to the Antarctic and northwest Pacific oceans. Japan will resume commercial whaling in July 2019 after a 30-year absence “in line with Japan’s basic policy of promoting sustainable use of aquatic living resources based on scientific evidence,” he said. “Regrettably, we have reached a decision that it is impossible in the IWC to seek the coexistence of states with different views,” Suga said. Environmental group Greenpeace condemned the decision and disputed Japan’s view that whale stocks have recovered, noting also that ocean life is being threated by pollution as well as overfishing. “The declaration today is out of step with the international community, let alone the protection needed to safeguard the future of our oceans and these majestic creatures. The government of Japan must urgently act to conserve marine ecosystems, rather than resume commercial whaling,” Sam Annesley, executive director at Greenpeace Japan, said in a statement. 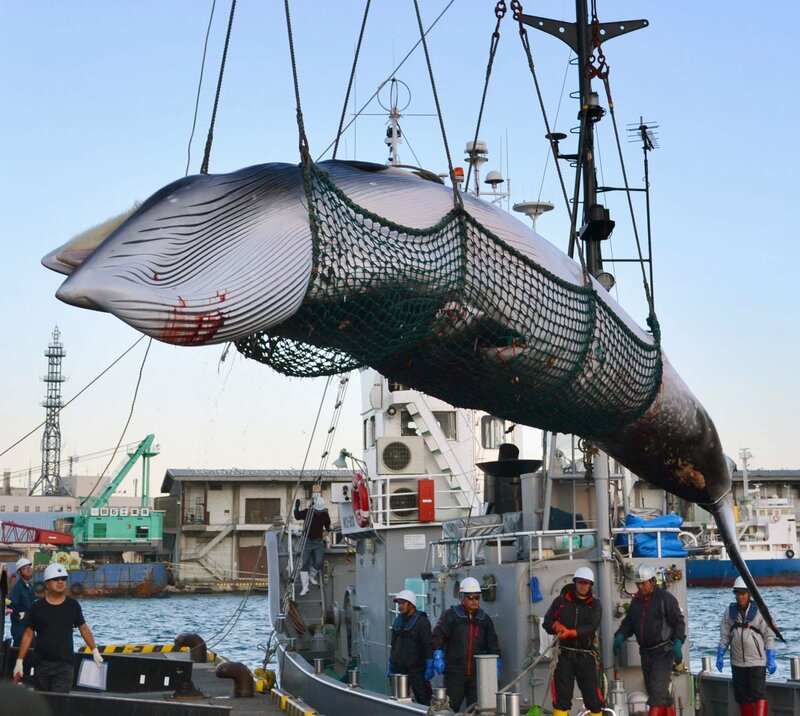 Fisheries officials have said Japan annually consumes thousands of tons of whale meat from the research hunts, mainly by older Japanese seeking a nostalgic meal. But critics say they doubt commercial whaling could be a sustainable industry if Japanese young people don’t see whales as food.